Python is one of the most rapidly growing programming language it’s a high-level programming language built in with an excellent library. Python is an interpreted language which means that it can execute instruction directly without being compiled due to built in system that can translate each statement into machine code before you execute the code. Python is a dynamic and multi-purpose programming language and available on most of the platform including Windows, Mac and Linux. Python is widely used all over the globe even the companies like Google, Facebook, Dropbox, NASA uses python. Python was created for general purpose programming language but today it is being used everywhere in various fields of science and technology, robotics, developing actual softwares for operating system using different types of python framework, one of them is QT framework which provides cross platform support. When someone tries python for the first time it seems like it is for newbies but it’s a real badass language, python is sort of write less output more which means the task you complete in other language with 20 lines of codes can be done in 10 lines using python. Like C++ and JAVA which is hard to learn and takes a lot more time to write even simple program whereas python takes half the effort and time writing the same program. Although python scripts are slower than JAVA and C++ but it also requires less memory compared to other programming language out there. On the other side python is becoming popular day by day between web developers for creating dynamic website and web applications due to its huge resources and frameworks. There are thousands of open source libraries and documentation which can guide learner through every step and boost learning speed. 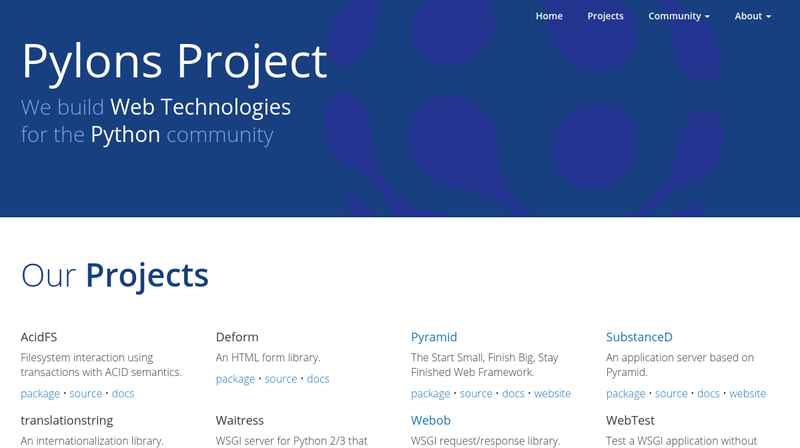 Python can be used for both frontend and backend development of websites and its content, it can be used for server side scripting and for frontend it’s a little tricky using along with JS but the great community is out there to help you make it possible. 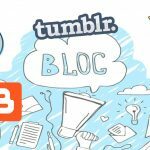 Developers are creating and sharing their tools and modules opensource which helps a lot for developing web apps and web content for beginners out there, also huge numbers of libraries and frameworks provided by the communities helps in increasing speed and saves time writing scripts. Python is so easy and smooth to learn it just feels like you are learning the English language even if you are a beginner in python you can understand the scripts written by the professional it’s just that common and simple. 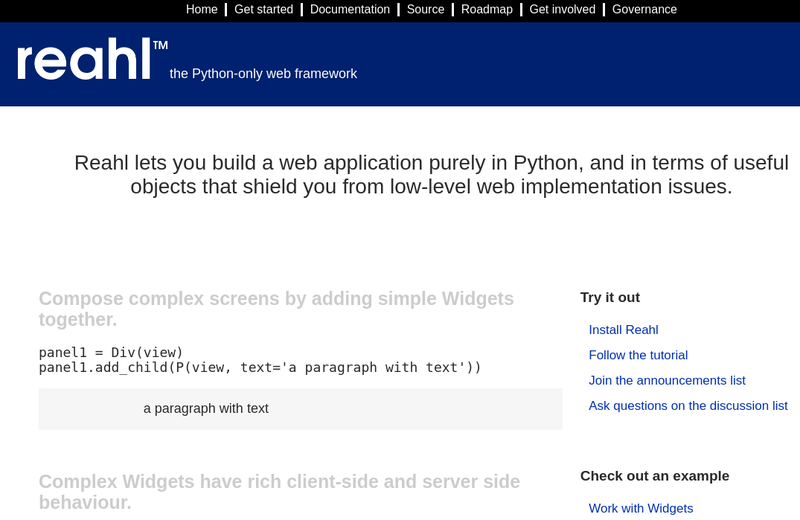 Python is also famous for server side scripting and creating dynamic content for websites. 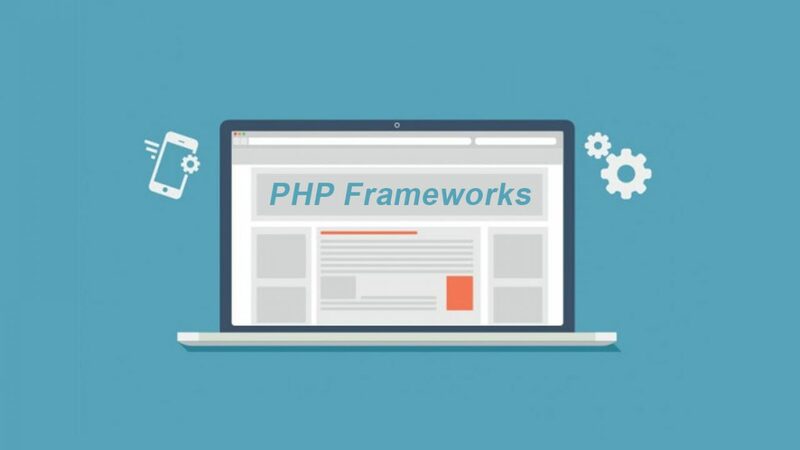 As we all know that PHP holds a large amount of market on backend development but python is also gaining popularity nowadays due to strong security built in, python may be not as flexible as PHP but comparatively python is a lot clean to write code, error free and easy to debug. It’s an elegant language with clarity and functionality which is pleasure to work with. 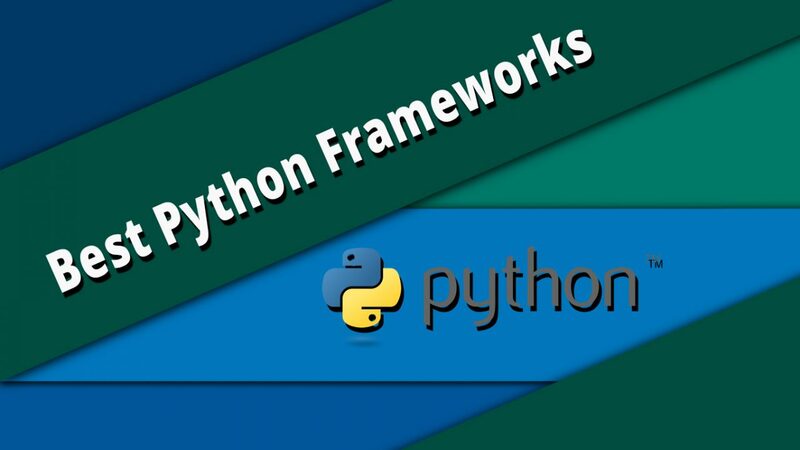 Now, let’s talk about frameworks which are another interesting part of python and don’t get confused with framework it’s just walls and pillars or structure for your specific projects to make you go fast with code and scripts. It is just all python or python with some other language to make scripts fast and productive some frameworks are build purely using python like reahl and some are just combination of different languages that are hidden away and feels like native language. There are large number of python frameworks available out designed for various specific purposes, for web development it’s even growing huge which is why it’s gaining popularity in web development. 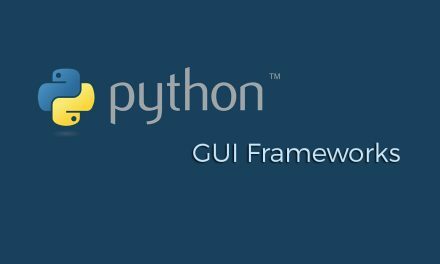 Below are the list of best python frameworks with specific goals. 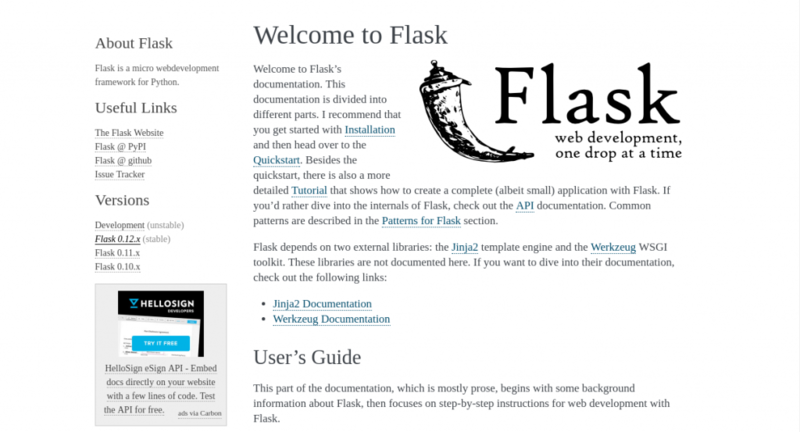 Flask is a little like a django in level and more explict which is good for beginner easy to understand but it is kinda hard to master, anyway it is still the popular framework due to it’s reliability speed and minimalistic code structure. 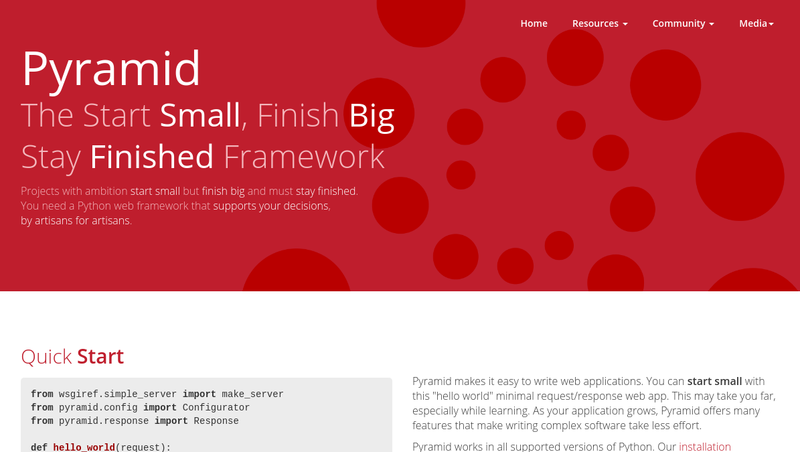 Pyramid is a minimalistic framework which is an open licensed and have very little limitation of code you can use with your pyramid apps and it is intended for more bigger and complex application than flask. 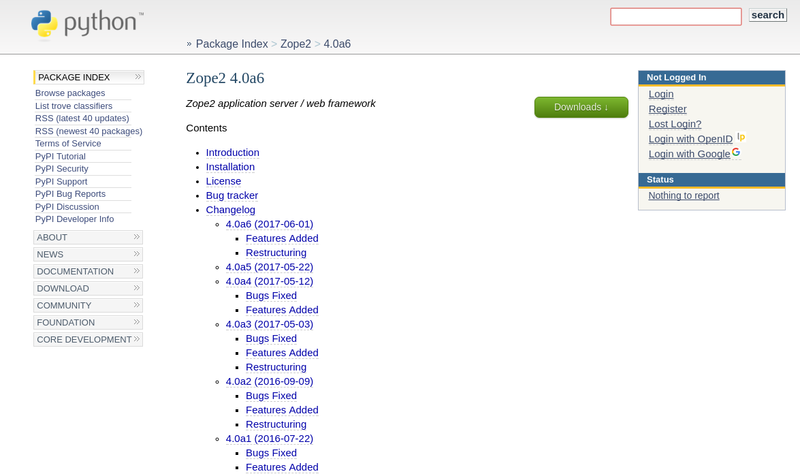 It is based on Zope and has good documentation like django and also one of the fastest web framework. 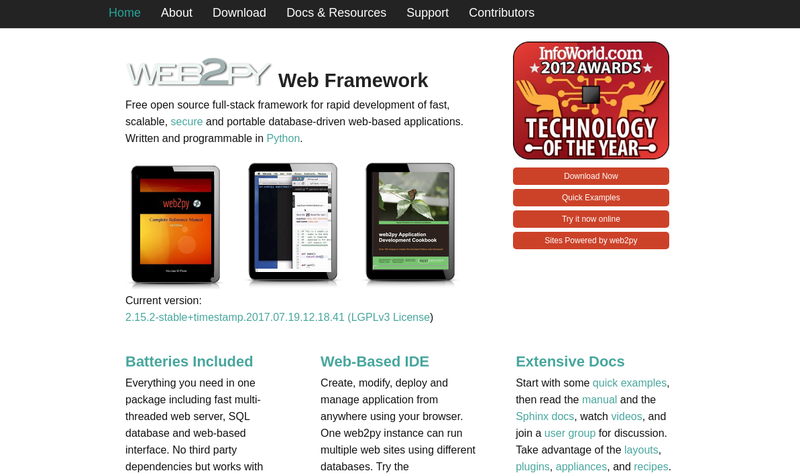 Web2py is a simple and portable framework and easy to learn. It’s a database driven web based application it also follows the same principle write less output more and helps you shorten your code but it doesn’t follow all the community standard despite that it’s easy and fun to learn. 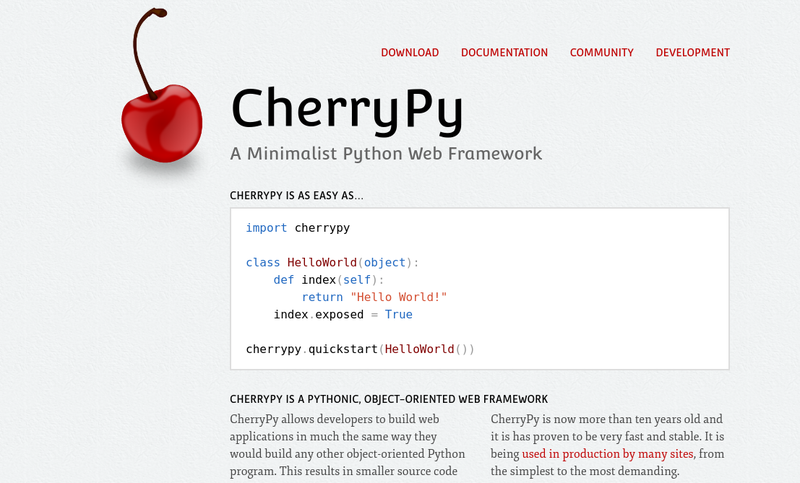 Cherrypy is also one of the minimalist web framework quite popular an easy to use and similar to object oriented python programs. It’s an HTTP framework which is quite stable and fun to use and doesn’t need to understand the entire framework to get you start using it. 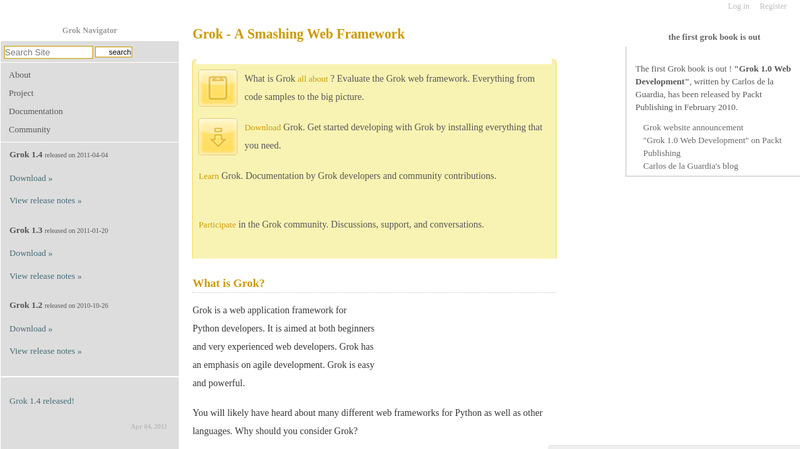 Grok is similar to zope3 and a based on it due to API compatibility. Using grok will not be that hard if you are familiar with Zope3 also there are some benefits of using zope3 with grok because no ZCML or XML files are needed, most of the files are automated and also it generates less messy code. Pylons is an opensource web-development framework providing flexibility combining great and collective ideas form experienced project leader which focuses on modern web development technology. It also offers online debugger which helps in finding errors easy. 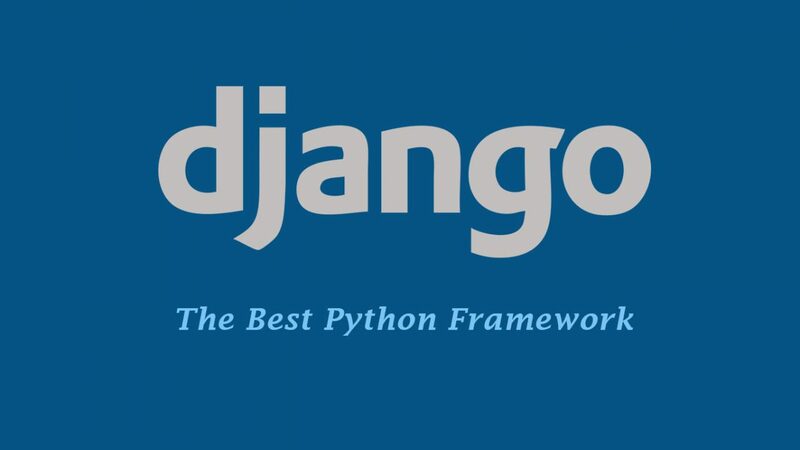 Overall it’s a great framework if you are familiar with django it will be even easier for you to get started. It may be one of the oldest python based framework it started as Zope –Z in 1995, it’s suitable for object oriented development and easy for finding errors and the best thing about it is the reusability of the components. 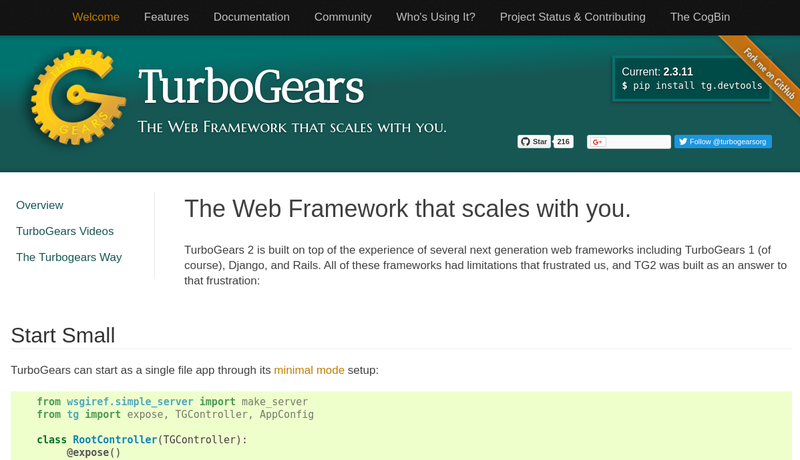 It’s a web-framework which is mostly used in web servers due to it’s performance for handling thousand of concurrent connection. 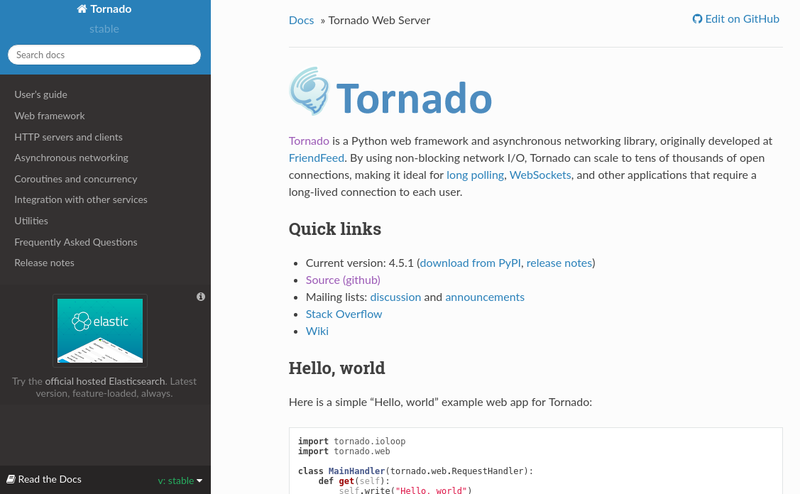 It’s an asynchronous web framework that has it’s own event loop and supports web sockets and you can also work combining WSGI (web server gateway interface) and tornado. 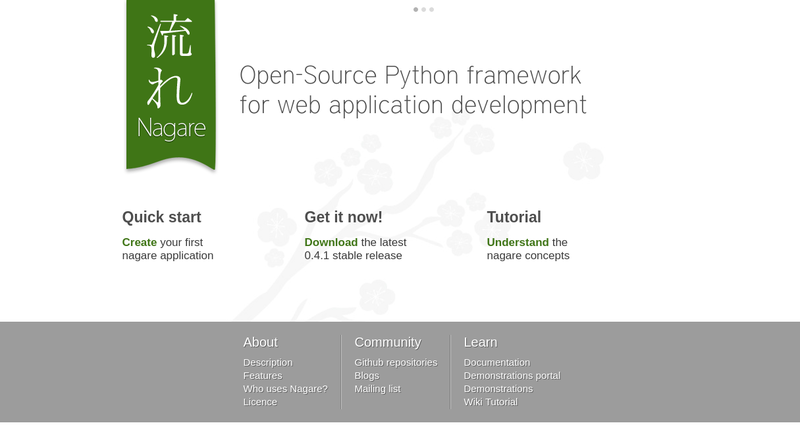 Nagare is opensource we development framework based on stackless python combining continuation which helps in improving the HTTP connection requests. The way application is developed using Nagare is that same of desktop application. 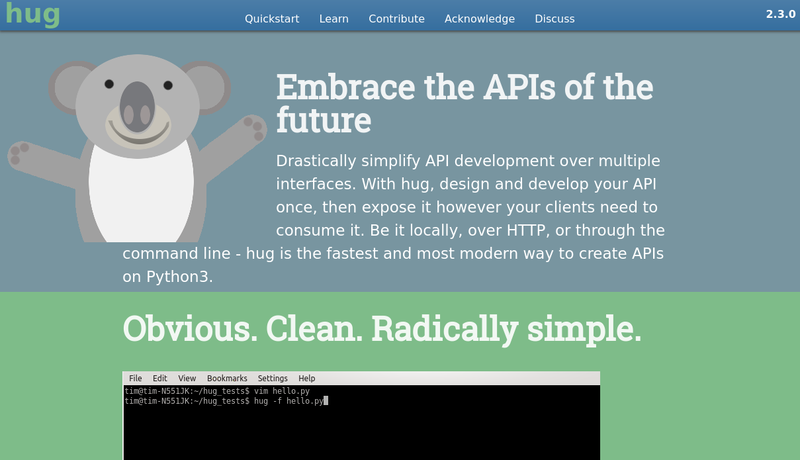 Hug is not a web framework but the function it performs secures it’s place being important framework for web developer. With it developer can create their own APIs in a simple and fast method; it’s fast and intelligent to consume the memory only on certain case when required. It is easy to learn and even till now developer are trying to make it simple as they can. 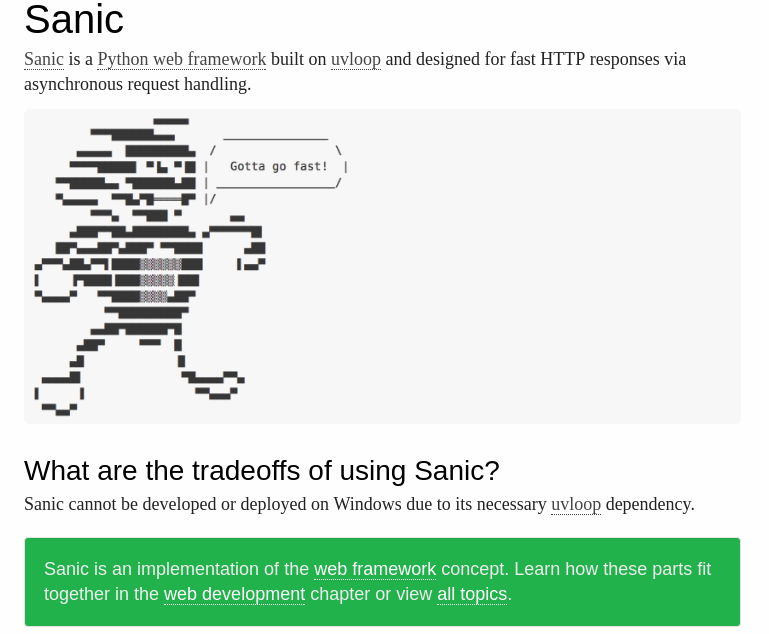 Sanic is a web framework famous for it’s fast and asynchronous HTTP requests handling. It is UVLOOP and HTTPtools based framework which is developed to go fast, sanic is created and developed by github and it’s large community. 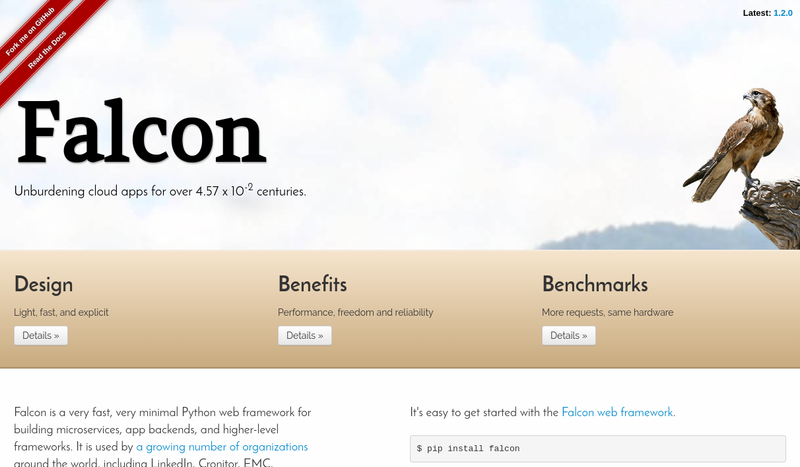 Falcon is a minimalist WSGI (web server gateway interface) web framework with hassle free APIs and cut’s down all the unnecessary abstraction. It’s reliable and flexible and can be used for both high level and low level project development. May be it’s enough to describe all the mass of peoples trying to get into python; it is getting very popular in today’s web technology due to its flexibility and usability on various multi platforms. So learning python is not that hard though some might get confused due to it’s large number of python framework available it is up to you, every single framework has it’s own pros and cons it depends upon your specific goal for learning python. It’s a multipurpose language after understanding the basic structure and work flow you can implement your skills on wide range of platforms. Learning of python is not a waste of time it’s getting popular and who knows in future it might get even huge. Today huge companies and professional are targeting python to make it their primary It may have started as a general purpose language but today it got so big tomorrow it will get even huge that’s for sure. 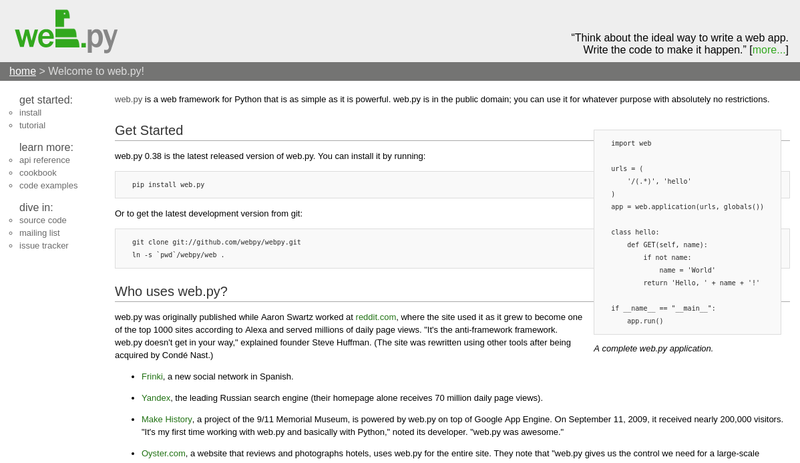 Thank you so much for sharing the collection of best python frameworks. Django most popular one.